A whirlwind romance amidst the natural splendor of Yosemite National Park. A spur-of-the-moment wedding near Bridalveil Fall. A young bride who awakens the morning after to find her new husband gone with the mountain wind. Songbird Hannah Johns supports the child born of that ill-fated union by singing in a dinner lounge. 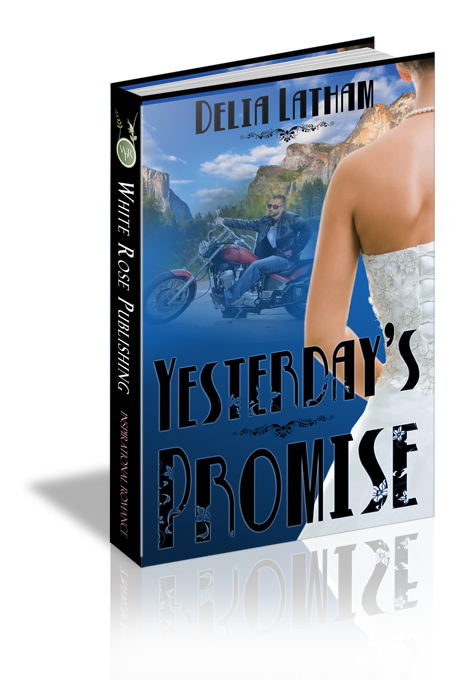 Her dream of someday owning the elite establishment and turning it into a venue more suited to her Christian values is shattered when an unexpected transaction places it in the hands of Brock Ellis, the handsome biker who abandoned her in their honeymoon suite. Ensuing sparks fly high, revealing buried secrets and forgotten pasts. Seeking to find peace with her painful past, Hannah returns to Yosemite, and Brock follows hard on her heels. Back where it all began, she finds herself in danger of losing her heart yet again to the man who shattered it the first time around. “I can’t believe you, of all people, can get that look on your face because I have a son without the benefit of a husband. At least I’m there for my son, and I will be as long as God allows me to walk this earth. I would never, under any circumstances, never abandon someone I love. Never. It’s right there.” She pointed a trembling finger at Lissy's house and fumbled for the handle as Brock swung the car to the curb. By the time he brought the vehicle to a full stop, she had the door open and one foot outside the car. Tears burned her eyes, but she refused to let them fall. “Lissy will take us home.” She ignored his apology, then slammed the car door and marched up the sidewalk, head high, back ramrod stiff. Hannah picked him up, hugging him to her. “Hey, big guy! I missed-ed you too.” She rarely encouraged his mispronunciation of words, but at the moment she wanted Davey to stay little for a very long time. “Nobody, Davey.” She set the small boy on his feet. Taking his hand, she led him to Lissy's door. Behind her, she heard the BMW pull away, but she refused to look back. Only your daddy, sweet boy. He’s only your daddy.